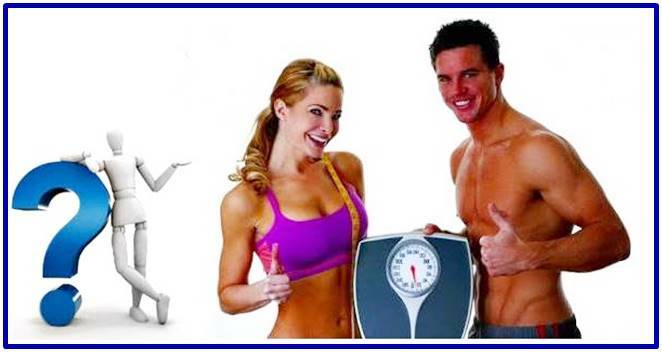 Home burn fat gain muscle lose weight metabolism How to Get the Discipline to Lose Weight? How to Get the Discipline to Lose Weight? Do you need to get some Self-Discipline in Eating and Exercising? Here I will mention some tips for you to be consistent with your diet or nutritional plan, your training sessions and other habits that will help you lose weight in fat. But keep in mind that this goal of weight loss will not happen overnight or at least not by natural means. You have to understand why it's so hard to follow a diet. Perhaps you are not the only one or the one who has difficulty giving up the gastronomic pleasures that life offers. But beware, it's not about giving up this abruptly and totally. Although it would be ideal in many cases to completely stop eating desserts or other foods that are rich in simple refined sugars and saturated and / or trans fats. But let's be honest: many people lack the discipline or mental will to stop eating these "sins." So the point is not to let anxiety take over you, which usually happens when a person completely eliminates these foods that are so delicious and at the same time so addictive. The point to achieve low levels of body fat is keeping in mind to reduce the calorie intake gradually until reaching a certain limit ... ah, and of course increase Caloric expenditure by practicing physical exercise. ... but applying diets from one day to the next can also cause many problems especially when they are very extreme diets or nutritional plans almost to the point of eliminating overnight consumption of all kinds of carbohydrates including of course fruits and Vegetables that although they are not foods considered as such, they do contribute low or moderate amounts of sugars (carbohydrates) ... that become necessary for the metabolic processes of our organism. The bad point for health is mainly that people often not only decide to cut or abruptly eliminate the consumption of macronutrients such as fats and carbohydrates, but also eliminate the intake of micro nutrients, ie vitamins and minerals. That is to say, they do something good like reducing considerably the consumption of bread, rice, pasta, etc., and completely eliminate the consumption of desserts and other foods made with simple refined sugars ... but do not do the possible to increase the consumption of vitamins and minerals through the intake of good variety and quantity of vegetables. 1. Have a main objective but also have specific or secondary objectives. It's very easy to say "I'm going to lose weight". But the really difficult thing is to achieve it. Or maybe it's not so difficult but you just do not know how to start to achieve this main objective (lose weight in body fat) ... or maybe you want everything to happen very fast, when you have to keep in mind that achieving it can take weeks or even several months depending on how high your body fat percentage is. - Begin by reducing the intake of simple and complex carbohydrates by approximately 30% for one or two weeks. You can do this either by acquiring a scale and weighing the food before consuming it, or by doing it "by the eye," that is, calculating more or less how much you used to eat before and how much would be the amount of this type of food (rice, Pasta, etc.) with 30% less (imagine it in your mind). - Start by reducing the amount of refined sugar you add to your drinks. Do not completely eliminate your sugar intake from one day to another if you were used to consuming it before everyday. Not all people have such great willpower to do so and not to fall back into that temptation and anxiety which leads them to return to the vice of consuming this "white venom" in an even greater way ... and worse is that maybe then it will be more difficult (or almost impossible) to give up this white monster. Then the recommended would be that if you added a tablespoon of sugar to your glass of fruit juice, then for two or three weeks try adding only half tablespoon. Then you can reduce this to a quarter of a tablespoon of sugar. Then you can try how it goes by consuming your juices without any sugar ... Believe me that if you do it this way, there will come a point where your body will already reject things sweet or very sweet. - Increase your Caloric expenditure gradually. This point is very important. Exercise is health, but at the same time it can become a double-edged sword when you practice it unreasonably and without regard to your fitness level (the level of your strength, endurance, flexibility, etc.). So if your life before was totally sedentary, you can start by walking at a moderate pace for 20 to 30 minutes 1, 2 or 3 times in the day (it may be for example morning, afternoon and night, a few minutes after having eaten) ... some weeks later you can try going up and down steps ... weeks later you can try more intense workouts with or without weights to also stimulate lean mass gain. - Increases your basal metabolic rate gradually. With the help of exercise you can achieve this. The most recommended is that you increase the hypertrophy or at least the toning of your muscles, and also the ability of your body to consume and use oxygen in the metabolic processes that require it, as is the case for example of fat burning. But of course I'm not telling you to get tough on the dumbbells from one day to the next if you've never done it before, nor do you run a marathon. First take into account the previous specific objective ... apply it for 2 or 3 months and then you can consider attending a gym for a trained professional to guide you in the process of cardiorespiratory adaptation, muscle strength, etc. 2. Surround yourself with people who have the same goals as you have. It seems harder than it sounds but really is not. One of the ways to start doing this is to look for some fitness center or gym, and join several classes according to your level of training. There is gradually forming a certain camaraderie with those who are constant attending these classes always at the same time most days in the week. Do not expect to find people who want to achieve the same goals that you have to look better and improve your health, sitting in your armchair or lying in bed watching series or movies all day. 3. Stay away from people who incite you to sin or at least before doing it, try to take them with you on the right path. If you have friends, family, or your partner, who may have the same fat overweight problems that you have, tell them to read these types of advices that I am writing in this article so that you and they can all try together to accomplish the lose weight objective, and which in this way will be easier since there will always be that moral support that will help you achieve your goals. But if there is definitely no way to convince them to go hand in hand with you to the world without sugar and low fat, then gradually move away from them. Well, I'm not telling you to leave them or break up with your partner. Just try to say "no" when they invite you to a barbecue ... this is clear if you do not have the willpower to reject much of the food that will be offered there. But, well, if you are able to fulfill your goals even when you have temptations in your nose and eyes, then maybe you do not have to move away from your loved ones. 4. Do not be afraid or lazy invest in yourself. If you previously invested in eating large amounts of junk food or fast foods that are also very high in simple sugars, complex sugars and saturated fats, then why not better not invest all that money in food that is really worth it? Buy a good variety of fruits and vegetables so that these are the ones that are little by little the main thing in your diet. Sometimes many people get bored with diets because there is simply no variety in them. So to avoid this, make your fridge full of a lot of color, a lot of color with a high nutritional value. In addition, you can try making different juices of varied mixtures of fruits and vegetables to have a high contribution of vitamins and minerals to have high defenses and your body can carry out the metabolic processes optimally ... and a fair contribution in macro nutrients to provide you with the energy necessary for you to perform your daily activities and your training sessions. At the same time, you need to get some money to pay the monthly fee in a good gym or sports center, because there will be the right place to find good professional guidance that will help you even more to achieve your goals ... also to find what already mentioned about surrounding yourself with people who have the same or similar goals that you have. If necessary, you can save money to give you small aesthetic procedures in a beauty center. But, before thinking about undergoing surgery, no matter how simple it may seem, first increases your fitness level so that the risk of dying in the operating room decreases .... and I am not mentioning this advice so you always Opt for the easy, but it simply reaches a point where it becomes strictly necessary to undergo cosmetic surgery, for example in the case of people who have fatty levels that lead to morbid obesity. But the point is not to pass directly to the operating room but first to get better feed, improve fitness levels, and then evaluate next to a health professional, the possibility of undergo to some type of surgery.